Today, we will take a look at Autodesk’s new 3D modelling software, 123D Creature, which was just released as an iPad application. Autodesk is well-known for producing 3D CAD software for professionals in the architecture and game development industries. With 123D Creature however, Autodesk has produced a software aimed at beginners with little or no background in 3D modelling. As its name already suggests, 123D Creature is aimed at designing creatures. 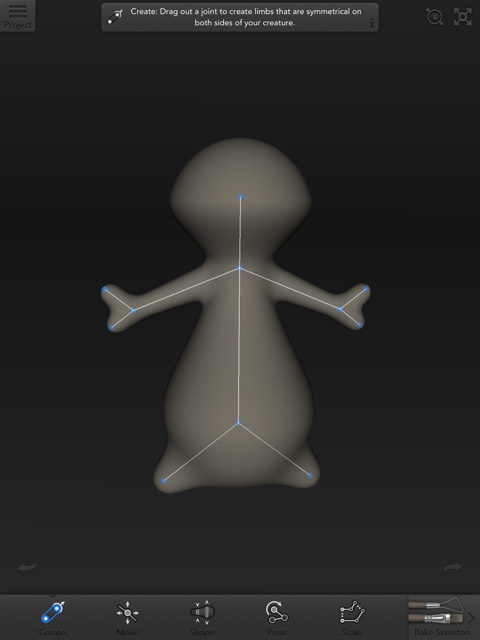 The app allows you to do organic modelling, very similar to sculpting clay figures. What makes 123D Creature especially interesting in the context of this website is that fact that it allows you to output files which can be 3D printed. So rather than just looking at your creatures on screen you can bring them to life by getting them printed. But, I am getting ahead of myself, let’s first see what it takes to design your very own monster. The design process consists of 3 steps: creating a skeleton, sculpting the details and adding texture, and voila, you have a three-dimensional creature to share. If you are using the app for the first time, short instructions show you the basic use of each tool before you can try them on your own. Knowing how to manipulate the camera view comes in handy once you start modelling. Being able to view your creature from any angle possible can be a bit tricky for absolute 3D modelling beginners. 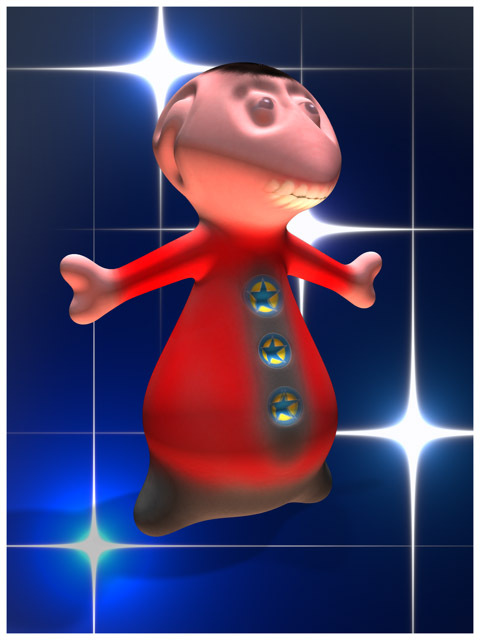 However, 123D Creature uses the standard iPad display controls to its advantage: one finger dragging allows you to spin the creature around its own axis. Pinching allows you to zoom in or out on your model. Two finger dragging moves the creature parallel to the camera. Should you get lost by zooming too far, clicking the button in the top right hand corner will re-center your creature on the screen. Every creature starts out as a basic skeleton that looks like a stick figure. Using the “create” tool, you can start modifying the default creature by adding additional limbs to the skeleton. It helps if you have some idea what your final creature should look like since the structural skeleton constitutes the backbone to anything else that you will do later on. This may require a bit of trial and error but since the app allows for multiple undo’s you should not hesitate to play around. Note that any limbs you add are attached symmetrically to each side of the creature’s body. With the “move” tool you can move the joints of each limb into the desired position. Again all modifications are done symmetrically. The “shape” function adds flesh to the bones: depending on what direction you are dragging you increase or decrease the diameter of the body part that you are modifying. Using the “pose” tool you can start to put your creature into its final pose. This can become a bit tricky since you can modify the pose in three dimensions. Playing around and using the undo function come in handy here. For any figure that you intend to print it is also essential to choose a pose which will prop up the creature once printed. Finally, the “scale” tool allows you to modify the length of the limbs should you wish to do so. Once satisfied with your design, a click on the “bake skeleton” button takes you to the sculpting and painting mode. 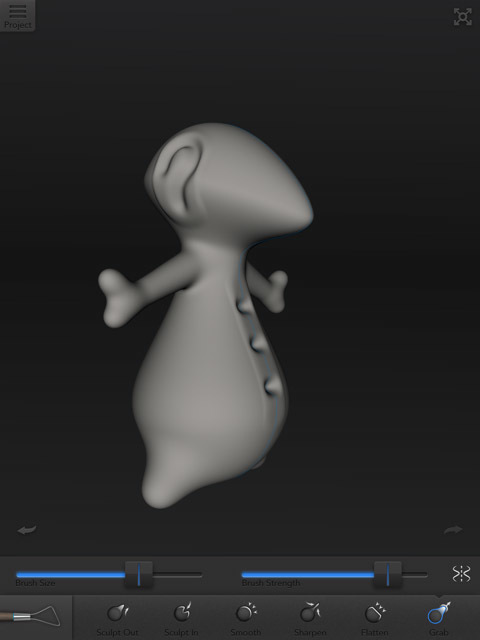 The sculpt mode has six fairly self-explanatory design modes which you can use to model details such as eyes, ears or mouth onto your creature. By deactivating the symmetry function you can modify only one side of the model without modifying the other. The brush is well suited for more precise coloring. You can modify the brush size and strength with the two sliders to customize the tool to your needs. Use the airbrush tool to paint larger surfaces in a uniform way. The image paint mode allows you to texturize your creature. 123D Creature comes pre-loaded with a full set of textures such as fur and feathers, hair, faces, skin and so forth. You can also use your own images as textures or snap a picture with the iPad camera for the same purpose. Applying the texture is not very intuitive though: once you slide the “image paint” button to on, a square will appear on the screen. This square serves as the frame through which you will apply the texture. In order to do so, you must position your creature at the exact position and zoom level that it makes sense to apply the texture. You then imprint the texture on the creature by tapping once on the frame. Painting and texturing your creature is of course only for the benefit of displaying it on screen. Should you decide to have your figure 3D printed, it will be mono-coloured such that you may want to skip the painting step. Note that in the sculpting and painting mode you only have limited undo’s! This means that you have to progress carefully in order to avoid having to reset your model completely. Once your are satisfied with the painting and texturing of your creature you can progress to the render stage. The render stage allows you to position your figure on a background and adjust the lighting before snapping a picture that you can share with your friends. Play around with the light, background and effect settings until you find the perfect combination. Then just hit the share button to email or print the final image. Share in the gallery: this function allows you to share your creature with other users of Autodesk’s community. Sharing will not only publish an image of your creature but also the mesh such that other users can download and further modify it. Of course, you can also download somebody else’s model and start working on that. 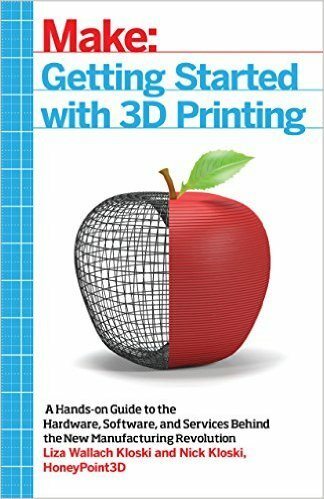 Export mesh: the export mesh function creates a *.obj file that you can import into a 3D editing application or use for 3D printing if you already own a 3D printer. Order a 3D print: this allows you to turn your digital creature into a physical sculpture by having it printed by Sculpteo, the 3D printing service provider Autodesk has teamed up with. This is the perfect option when you don’t own a 3D printer yet and your creature will be delivered right to your doorstep. What’s even better is that Sculpteo immediately provides you with a price quote for either the small, medium or large version of your creature. In summary, 123D Creature is a nifty app that I can totally recommend for anyone who is looking for a quick and easy way to get started in 3D modelling and printing. It is exactly the type of app of which we will see hopefully quite a bit more in the future: it allows the uninitiated person, with absolutely no CAD skills, to produce interesting 3D models without a steep learning curve or the need for a 500 page manual. My only criticism is the lack of unlimited undo’s in the sculpting and painting mode as well as the fact that the app only works in portrait mode. This gives you the most amount of screen to work with when editing your figures but personally I would prefer to work in landscape mode. 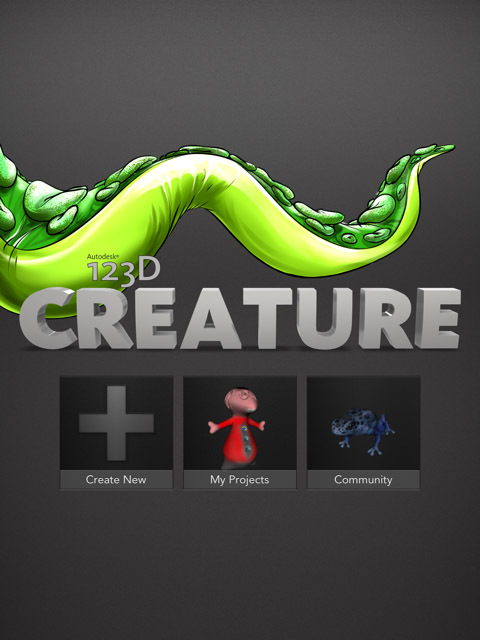 Finally, Android tablet users will be disappointed to hear that 123D Creature is currently only available on the iPad. 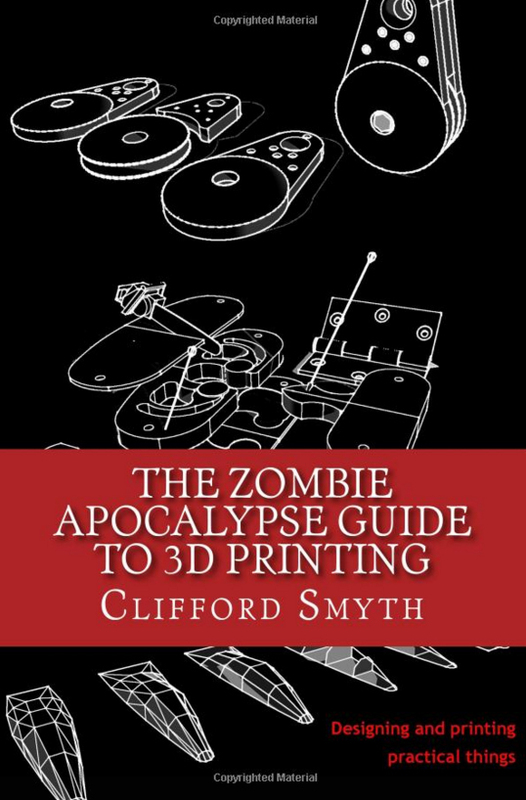 However, those drawbacks are minor and the 123D Creature and Sculpteo combination is certainly worth considering if you are looking to get started in 3D modelling and printing. A few years ago, one would have had to pay a significant sum of money to get access to a 3D design tool that could have produced comparable results. With 123D Creature, Autodesk makes those capabilities available for a mere $7.99.